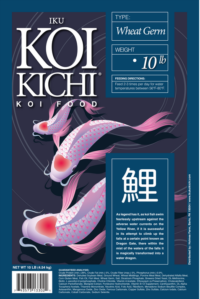 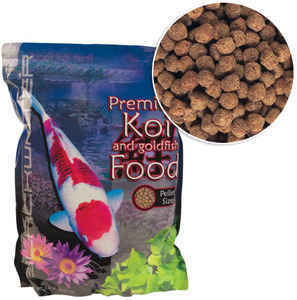 Blackwater Cool Season Koi Food from Blackwater Creek is the best food to feed your koi when water temps are below 60 degrees. 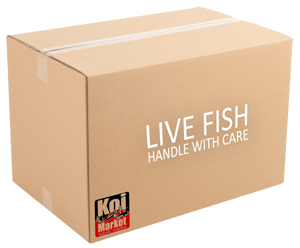 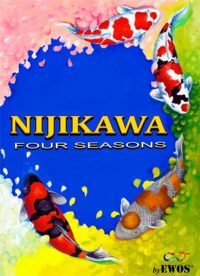 Digestion is more difficult during this time of year as your koi’s metabolism slows down, feed in spring and fall but it can be used all year long. Wheat germ, fish meal, plant protein products, dried yeast culture, shrimp meal, garlic, rice germ, monosodium glutamate, vitamin A supplement, vitamin D3 supplement, riboflavin supplement, niacin supplement, calcium pantothenate, vitamin B12 supplement, choline chloride, d-biotine, thiamine mononitrate, pyridoxine hydrochloride, vitamin E supplement, menadione sodium bisulfite complex (source of vitamin K activity), folic acid, zinc sulfate, copper sulfate, potassium iodate, ethylenediamine dihydrodide, ascorbic acid (source of vitamin C).